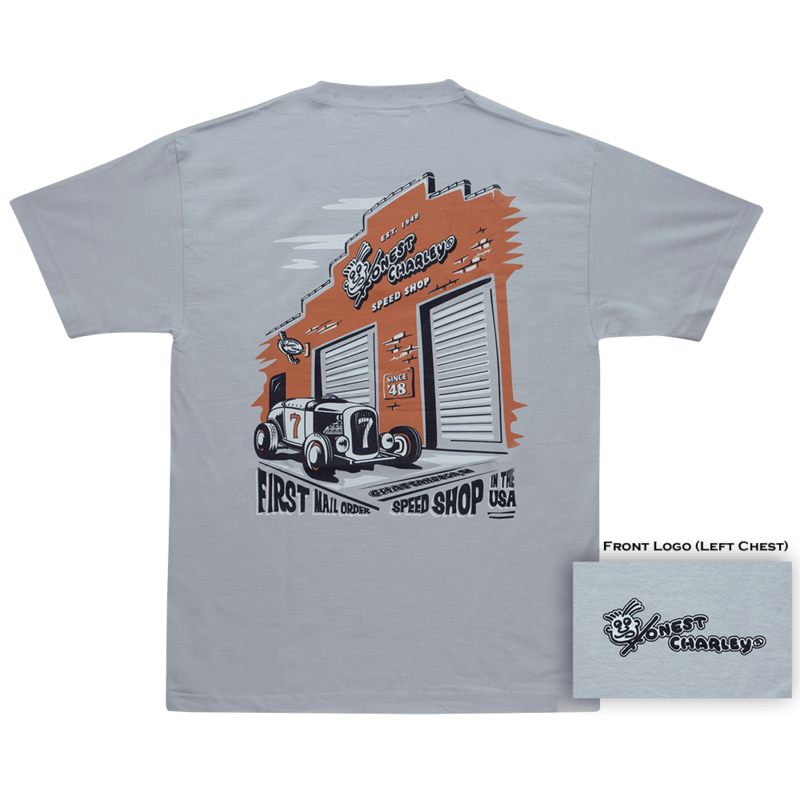 America's oldest mail order speed shop is still selling hot rod parts today. Folks stop by year-round just to get their pictures in front of the speed shop. 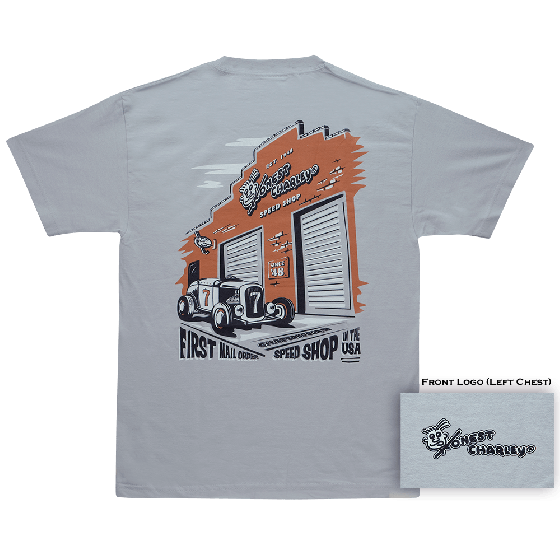 This tee has artwork of the speed shop, a cool old hot rod and tons of 'Honest' style, perfect attire for your next cruise-in.